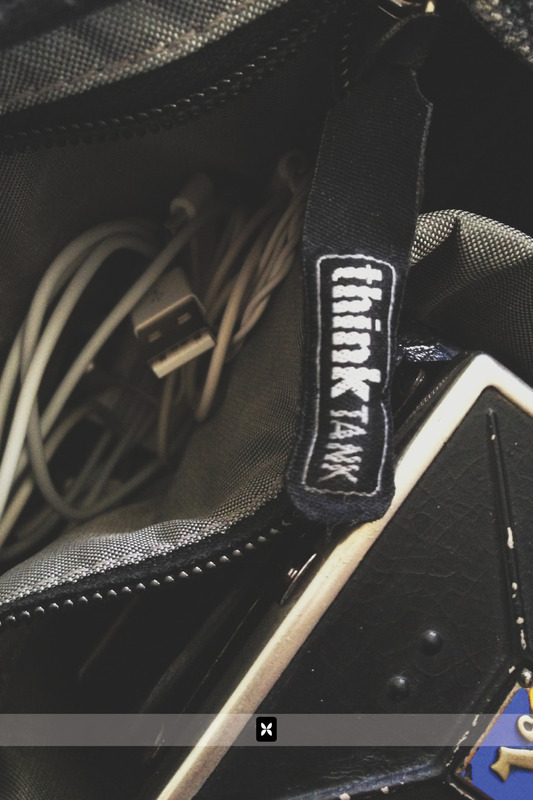 Think Tank Retrospective 5 (aka my "man purse"). Camera bags have always been a conundrum for me. And despite what some people might say, I have relinquished the idea that you can ever find ONE perfect bag for everyday, all the time, anytime, anywhere, anything, you get the idea. When I shoot weddings, I have to have a bag that can carry my large zoom lens, a flash, extra batteries, etc. Same goes for events. Sometimes, I just need to carry one or two lenses and nothing else. Sometimes, I have to have my camera AND video equipment altogether. You can begin to see why this is a conundrum. Fortunately, I have at least landed on a brand of camera bag that is functional, well designed and tough enough to survive almost anything besides an apocalypse. (note the apocalypse theory has not been tested yet). Whenever I am in the market for a new bag, I always look at Think Tank. Most professional photographers are familiar with Think Tank Bags. I won't go as far as to say EVERYONE uses them but I know a fair amount of photographers that do. A lot of these people travel frequently overseas, enduring rugged terrain and the sometimes even more rugged handling of Airport TSA. Having traveled internationally myself over the past 2 years, I have had to put my faith and trust in my camera bags more than ever and Think Tank's bags have not let me down in the least. I currently use the Airport Takeoff, the Urban Disguise 35, and the Artificial Intelligence laptop bag. Not long ago, I was looking for an "everyday" camera bag. And in doing so, I happened upon the Retrospective 5. I bought it, began using it, and immediately fell in love. Since then, I have taken it everywhere with me. It's become...my "man purse". For people who are quick to use the phrase "man purse", I have to start with the "manly photographer" explanation as to why I would constantly need to carry a bag in the first place. And that reason of course, is that I carry cameras with me everywhere I go. And in all honesty, I do. I always have my Fuji X100 with me, along with the charger, 2 spare batteries and an itty bitty flash. But when I purchased this bag, I was also interested in carrying around one of my film cameras as well, my Voigtlander Superb. This camera is a lot of fun to shoot but it is very rare and I wanted to make sure that I could protect it if I decided to carry it around. The Retrospective 5 does a great job of that and it even has enough room for a few spare rolls of film. In fact, I can fit a lot of things into this little, unassuming bag. I found that along with all of the aforementioned camera stuff, I can carry my sunglasses, my Leatherman multi tool, my bicycle multi tool, my iPhone, my iPad mini, my journal, an assortment of pens and pencils, iPhone & iPad charger cables, and headphones. The little identification pouch on the inside is big enough to hold a few dozen business cards which is great because I ALWAYS forget to carry business cards around. And the strap is super comfortable, which is very important considering it's a shoulder bag that I use every single day. The inside is customizable with velcro dividers that can be moved and configured to your needs. I was also pleased that Think Tank included a waterproof rain cover with the bag. (They do with almost all of their bags). The Retrospective 5 is marketed as a small camera bag but it works just as well as an everyday bag and despite what people might say about my "man purse", having my cameras and belongings alongside me in a bag that's very stylish and super functional is a must for me. You can purchase the Think Tank Retrospective 5 and other Think Tank products through their website or on B&H. If you're local to Northwest Arkansas, you can purchase Think Tank products at Bedfords.